Submitted by Denise Azucena on Feb. 22, 2018. Original photograph by Ilmicrofono Oggiono, modified by Jason Horton and available under Creative Commons license. A great pair of headphones can make all the difference in producing quality studio recordings and overall listening satisfaction. This goes especially for home recording environments where proper acoustically treated rooms are less common, often limiting the accuracy of open air speaker systems. For most people, the highest quality listening experience available at home is a pair of good studio headphones. It's not really a coincidence that most musicians also love listening to music, and these are great for that too. So we've also added information relevant for your listening pleasure as well. There are quite usable Cheap Studio Headphones under $100 available but when you consider all the use you'll get out of them and your likely investment in other music gear, then it makes sense to get a really good pair. We've set our price range for headphones in this guide at $100 to $500 to focus on higher quality while remaining affordable for most music lovers. Studio headphones come in two types. Closed back studio headphones are designed to keep the sound 'in' which is required for monitoring when recording with a mic. Open back studio headphones are designed for mixing and mastering and they tend to offer the most accurate frequency response. We've divided the guide into two sections to provide you with the best of each type. Closed back headphones are designed to stop sound from leaking out which is essential for monitoring when recording a track ("tracking") to prevent audio leaking into the mic. They're also good at passively keeping sound out which is useful in loud environments such as for DJ'ing. For listening these are the best style of headphones for situations were you don't want to annoy others around you such as on public transport, in the office or even at home. Their ability to block out external noise allows you to focus on the music but does tend to isolate you from your environment. Traditionally the design of closed back headphones has lead to a sound that appears to come more from 'inside your head' which many appreciate but it's potentially not as 'natural' sounding as open back alternatives. The frequency response can be somewhat uneven due to the sound being closed in, particularly at lower frequencies. However designs have improved over the years and the headphones in this list have good to excellent frequency responses and some are regarded as having quite a good 'soundstage' too. 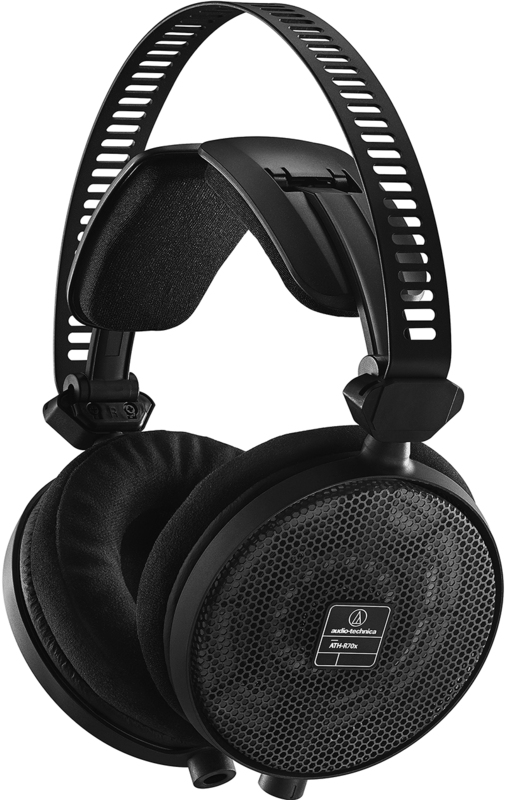 The ATH-M50x is an improved version of the ATH-M50 from Audio-Technica, with a detachable cable as an extra feature. These headphones are well suited to studio environments and home recording. They have circumaural earcups for sound isolation purposes and a foldable design for portability. These headphones are also ideal for DJ monitoring and casual listening. The majority of reviewers found these headphones had great sound quality. When it comes to frequency response, it reproduced strong low frequencies that are not too overpowering to very clear highs without any distortion nor sibilance. Apart from their sound quality, they have a solid build with an ergonomic design that fits well for most. Since they are foldable and have a detachable cable, they are quite portable. Musicians and sound engineers have used these headphones in outdoor settings, such field recordings, and found it to be very durable even with some mishandling. Some users with big heads find the clamping force a bit tight. 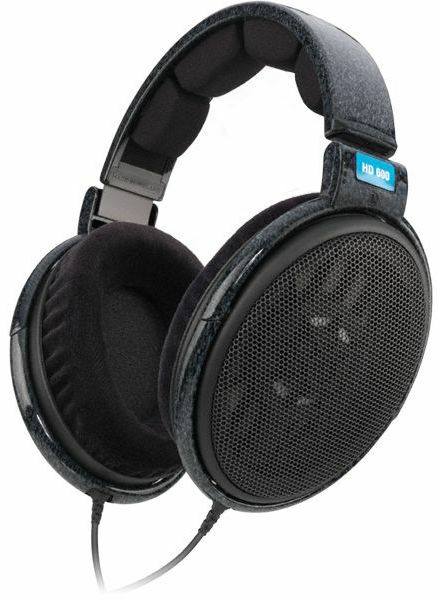 Since they have a metallic build for the sake of durability, some also found them heavier than similar-sized headphones. Isolation may be an issue if the volume is increased by more than 50%. Because of their full-bodied sound, these are great to use as reference headphones and monitoring, as well as for listening at home. 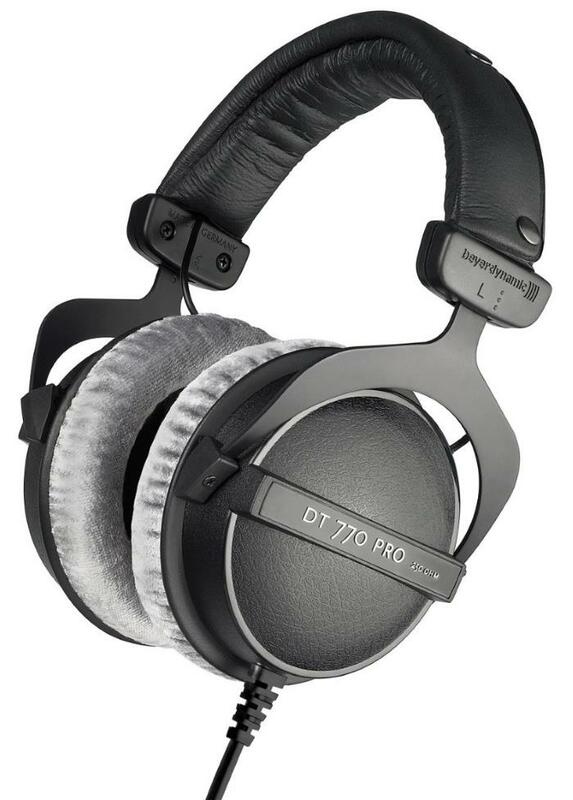 The DT 770 Pro are reference headphones made for applications in the studio or in an open environment. From low to high range frequencies, they reproduce sound with precision in situations where you play back or monitor recordings. They also have a robust spring steel, soft padded and adjustable headband built for sturdiness. These are the 250 Ohm version which is best suited to use with higher end pro audio gear and the manufacturer also recommends this version for mixing. There are also 32 and 80 Ohm versions which are more suited to mobile devices and home studio/listening respectively. Comfortable was one of the aspects mentioned by most users. Their comfortable cushion earpads and lightweight build were factors that made these headphones capable of letting users wear these headphones and listen for long hours. Sound quality also plays a huge part with a clean and crisp frequency response from basses to high dynamic ranges. One user mentioned that he used it to fix minuscule details, such as boosting or cutting certain frequencies, which makes them a complementary tool for monitors. Even with the comfort factor, some users found these not to be portable enough since they don't fold and their cable isn't detachable. At a reasonable price point, these are great monitor and reference headphones for recording and a fine choice for casual listening as well. The DT 150 are studio headphones that offer maximum noise isolation, ideal for referencing or monitoring in professional environments. With a wide and extended frequency response, they provide an accurate reproduction of playback of your recordings. Their distinctly rectangular design coupled with an impedance of 250 Ohms makes these better suited to studio and home use rather than listening out in public. Even with its sturdy and bulky construction, these headphones are quite lightweight and comfortable enough to wear for long hours. They provide great isolation, also allowing different shaped ears to fit well because of their square-like ear cups. In terms of sound quality, they provide a very wide soundstage, great reproduction of detailed instruments and the response is quite balanced. They also have exceptional noise attenuation as mentioned by some reviewers. Some reviewers found issues in having leatherette earpads not being comfortable, although these are easily replaceable. Considering the value outweighing the price, these are great to use for recording and monitoring purposes. The SRH1540 have an extensive soundstage, making them ideal as reference or monitor studio headphones and even a compelling option for mixing and mastering. They were designed with Alcantara ear pads for providing sound isolation and a fully adjustable and lightweight headband, which makes them comfortable for extended studio use. They were also developed with aluminum alloy and carbon fiber construction for an even more durable construction. At 46 Ohms impedance they're also well suited for use with mobile devices in addition to pro audio gear. Reviewers and users rave about the sound quality of this one. The ultra low bass response is particularly praised along with natural sounding mids and non-fatiguing highs. In his MusicRadar review, Robbie Stamp mentioned the "high end is crystal clear and the transient detail is immaculate across the board - kick drum punches aren't pulled, reverb tails can be picked out in a dense mix, close vocals fill your head and, most importantly, the slightest distortions are instantly noticeable". The material used to construct the ear pads of these headphones is fairly breathable, which contributes to the comfort factor. Since the headband doesn't have a bulky construction, these headphones are also light enough to not weigh down on the wearer's head. It's worth mentioning that a lot of sound engineers found them very durable. 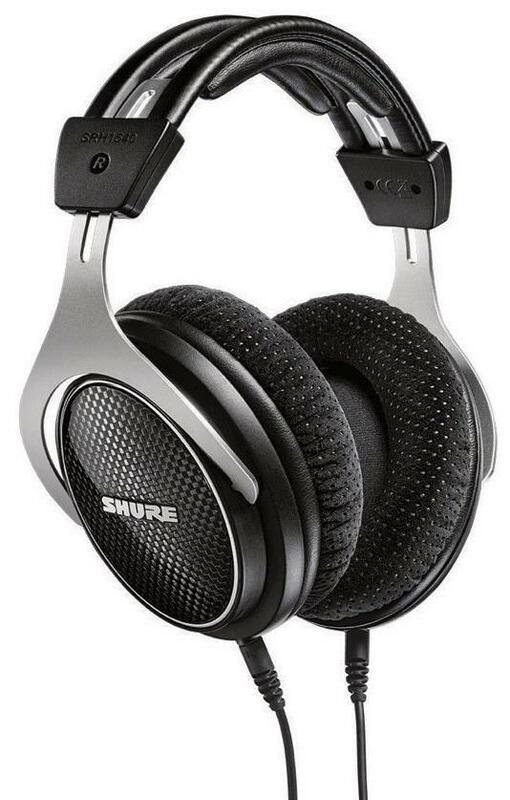 Some reviewers feel that that the noise isolation is only average, perhaps as Shure have focused on sound quality. Some users mentioned that the earcups provided for limited adjustments, which may affect whether the headphones sit well on your head. Nevertheless, these quality headphones are a great investment for professional studio applications, home recordings and portable audiophile bliss. Open back headphones have the advantage when it comes to producing the most accurate frequency response which is why they are recommended for mixing and can even play a role in mastering. Short of a pair of high end speakers in an acoustically treated room this is the best sound that most people will have access to at home. These headphones will generally sound clear, natural and spacious with a great 'sound stage' especially when it comes to the bass frequencies. This comes though at the cost of leaking quite a bit of sound out of those openings so they aren't suited to recording with a mic or listening in public places. Even at home you may want to consider whether the other members of your household really want to hear you tweaking the mix all through the night. Also in loud environments these will let external sound in so they're not suitable for DJ'ing. 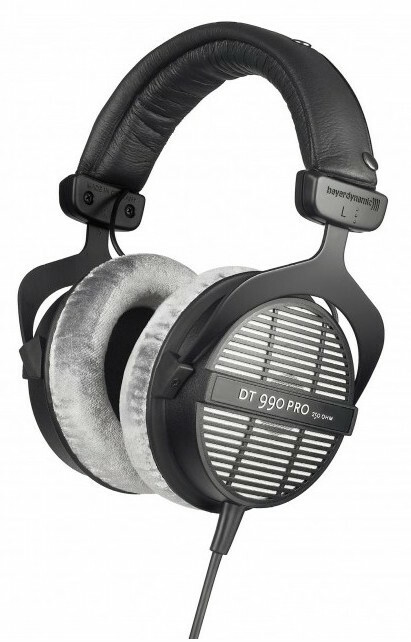 The DT 990 represents the best rated open-back studio headphone you can get for under $200. Some of these headphones’ features include their robust and soft padded headband, along with their cushion ear pads for maximum comfort. They provide pleasant bass and precise trebles when it comes to frequency response. In addition, they come with a single-sided coiled cable with a gold-vaporized 1/8 inch (3.5mm) stereo jack plug and a 1/4 inch adapter, which is useful for switching from studio use to casual listening. Users praised its open and clear reproduction of sound, along with excellent stereo imaging, decent soundstage, and detailed high-frequency response. Additionally, the bass response of the DT990 Pro was very tight and present. Even with a plastic construction, the build quality overall is durable and built to last. There are also a number of users with small heads who find these headphones comfortable and easily adjustable. A few reviewers found the mids were a bit recessed and others also mentioned they found the trebles to be a bit harsh at a high volume. These are quite big headphones which may be an aesthetic issue for some. For its price and value, these headphones are a great choice at a reasonable price for mixing or casual listening to music that brings out the bass parts in songs. The ATH-R70x showcases transparent aluminum honeycomb-mesh housings that provides an accurate and natural open-back sound. Their built-in magnets and magnetic circuit design reproduce low and high frequencies accurately, as well as reducing distortion. Additionally, their light-weight yet robust construction, fabric earpads and improved wing support provides comfort for long hours of listening. 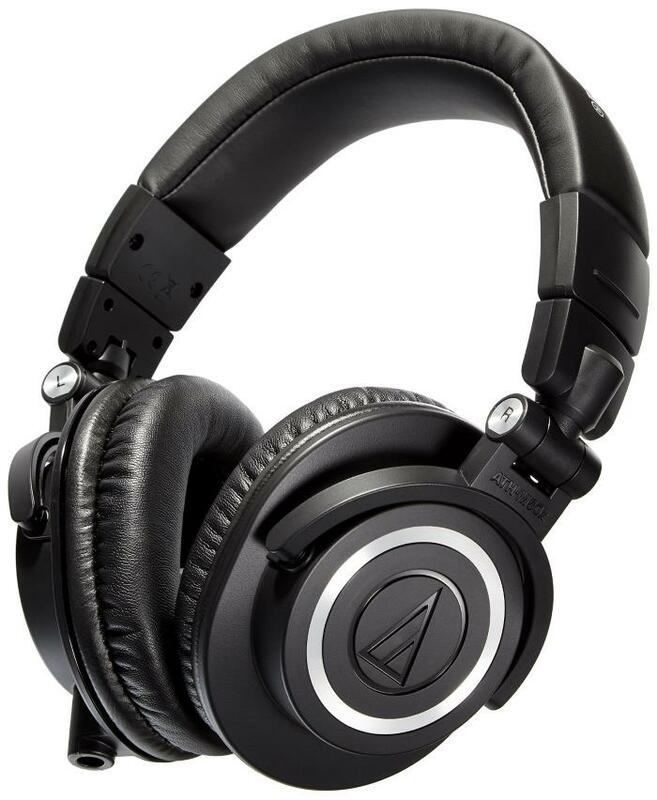 Audio-Technica have been producing professional studio quality headphones and the ATH-R70x are no exception. The wing and paddle mechanism for the headband provided convenience and comfort for users with narrow heads. Additionally, many users mentioned it was quite lightweight. When it comes to the sound quality, the soundstage gives an open, spacious and airy sound with great width and depth. Many users were impressed that they were able to hear the details of each instrument in the mix. The bass response extends quite accurately down to even the lowest frequencies. The mids and trebles were also fairly balanced as well. In his Sound on Sound review, Sam Inglis described the high frequencies to have "a definite high–frequency lift, but on most material it manifests itself much more subtly as a soft, airy, understated presence rather than a brash treble boost". He goes on to say "The bass is excellent: deep, clear and even, and slightly forward without ever sounding unbalanced or overpowering. The mid–range, meanwhile, seems pure and uncoloured, albeit slightly recessed and soft." With an impedance of 470 Ohms these going to shine the best with a higher level of output so pro studio gear or a dedicated headphone amplifier is recommended. Some users have reported they sound good even on mobile devices but this is not the intended use. These are excellent high-quality headphones to use generally for mixing. Sennheiser HD 600 are designed for professional studio engineers and audiophiles alike. They feature a circumaural design with open metal mesh earpieces that deliver a more natural, spatial and accurate sound. They also have optimized magnets for dynamic and wide frequency response, and for the purpose of minimizing distortion. Audiophiles, professional sound engineers, and enthusiasts gave feedback on how clean and neutral sounding these headphones were when it comes to sound quality. From smooth highs to clear lows, a lot of them were pleased with the accurate and transparent frequency response. Some also mentioned the mid-range response and stereo imaging were also exceptional. When it comes to first impressions when worn, some reviewers found the the initial clamping force and pads were stiff at first but they became comfortable over time. The overall build is quite sturdy and reliable. Despite the sturdy construction of the overall headset, there were a few reviewers that found the cable to be thin and fragile. Replacing it with a sturdier cable was no problem though. Some of them recommended its best to use a headphone amp since they require a lot of power to get louder volumes. Overall, these headphones are recommended for professional studio applications such as mixing, reference mixing, and mastering. The SRH1840 are open-back headphones made for mastering or critical listening. They have matched neodymium drivers for smooth and accurate frequency responses. Built with an aircraft-grade aluminum alloy yoke and stainless steel grilles, these headphones are both lightweight and durable. The headband also has a padded and ergonomic design for extra comfort. 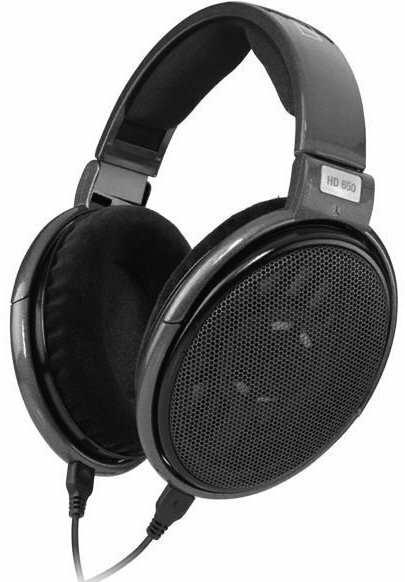 This is the lowest impedance open-back headphone we are recommending coming in at 65 Ohms. So it is well suited for use with home consumer gear and even mobile listening. Many users were impressed with the SRH1840's sound quality. These headphones were able to produce a good balance between the high, mid and low frequencies. They were able to reproduce instrument timbre with great accuracy, clarity and detail when used for mixing, monitoring or listening to different genres of music. With their simple and ergonomic design they were seen to be very comfortable. Some users found the headband and ear cups allowed only minimal adjustments and it's not foldable enough to be portable. These are great alternatives to monitor speakers for mixing and mastering different kinds of music. Sennheiser HD 650 are developed based on the HD 600, along with improved features. Aside from their lightweight aluminum voice coils made for smooth transient response and magnet systems for minimizing distortion, they have elliptical designed ear cups that fit comfortably on ears. These also have a detachable cable that's made from highly conductive oxygen-free copper made for low handling noise. Many experienced audio engineers said they have used these headphones to check their mixes for minuscule details due to their neutral sound. They provide an airy and wide soundstage that is nearly immersive. The bass, mids, and trebles are well balanced and it has a very flat response. In terms of comfort, the velour pads provided were very soft and most users experienced zero fatigue from listening for hours. Since it requires a bit more power it is best to use a headphone amp to maximize their sound quality. Some users found it to sound thin when plugged into their portable device such as an mp3 player. These are a great investment if you are looking for high-resolution headphones for referencing, mixing or high fidelity equipment. 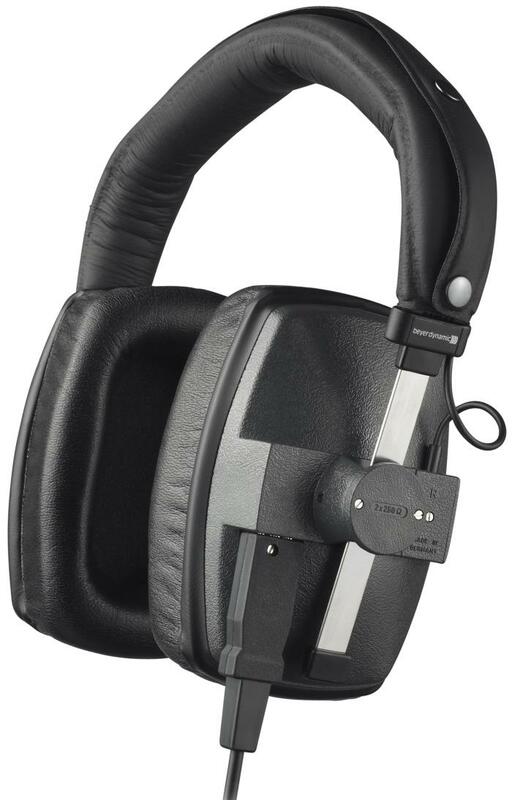 As mentioned previously, closed back headphones are ideal for recording and monitoring because they prevent any sound leakage and block out external noise. They are also a better choice for listening to music in public places. On the other hand, open-back headphones are suited to mixing and mastering as they tend to have a more natural sound and even frequency response. However they allow a lot more sound to leak out and in so you may have to be more conscious of others around you when listening. Manufacturers build headphones that have an extended range below and beyond the average levels of human hearing, which is from 20 Hz to 20 000 Hz. It's highly suggested to look for headphones that provides as close to a balanced and neutral frequency response, especially for mixing and mastering. For monitoring this isn't quite as crucial as the performer usually isn't hearing a complete mix but it is still desirable to have the best sound possible. Comfort is one of the essential features when looking for a pair of headphones, especially when you plan to use them for producing music or casual listening for long hours. 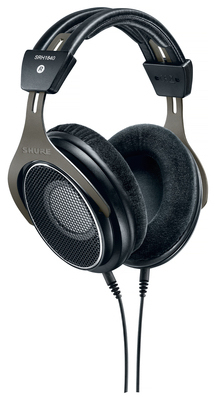 All the studio headphones in our list are circumaural which means they fit around the ear. This is the most comfortable style for listening over longer periods of time. If possible, you should be able to place the ear cups around your ears with the right amount of space for them to fit nicely. Ideally you shouldn't need to be at the end of the range of any adjustments allowed by the headphones. The earpad cushioning material should be soft enough for comfort and ideally allow some breathability. The weight of the headphones and headband can also have an impact after long hours of listening. Finally, another factor is having the right amount of clamping force so they sit comfortably and securely on your head without too much pressure. Most quality headphones are made with durable materials that can last you a lifetime. But sometimes various parts such as the earpads can wear out over time. It's best to check if there are replacement parts available for the headphones you invest in and also check the manufacturer's warrantee. Most headphones have a single sided cable attached to one ear cup. It's recommended to avoid really long cables since they can tend to get tangled. Also, having coiled cables provides useful flexibility. Some headphones have detachable cables which offer greater flexibility as they can be replaced with whatever length or type you need. They're also less prone to damage and can allow easier storage. We looked at all the popular headphones between $100 and $500 designed for studio use that were available from major music gear retailers in the USA and entered them into our music gear database. We analyzed reviews and forum posts by users and experts and processed this information with the Gearank Algorithm to produce the scores out of 100 you see above. We then recommend the highest rated options in this guide. For more information about this process see How Gearank Works.